FRESH! Butterfly ringsThere are 2 products. Butterfly rings - original and handmade gifts from Unikatnica. 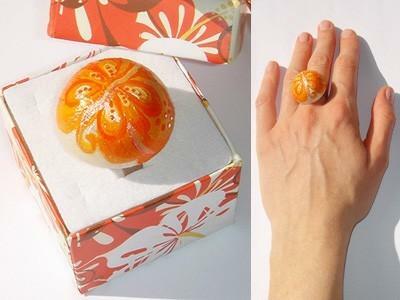 Do you like butterflies of all colors and shapes or you know someone who might be happy to receive a wonderful handmade and practical butterfly gift, as handpainted Butterfly rings from Unikatnica are? These handmade butterfly motifs come in all color combinations and shapes and they are very noticeable. When combined with the right shade of modern nail polish, they make a perfect handmade gift for your loving one.